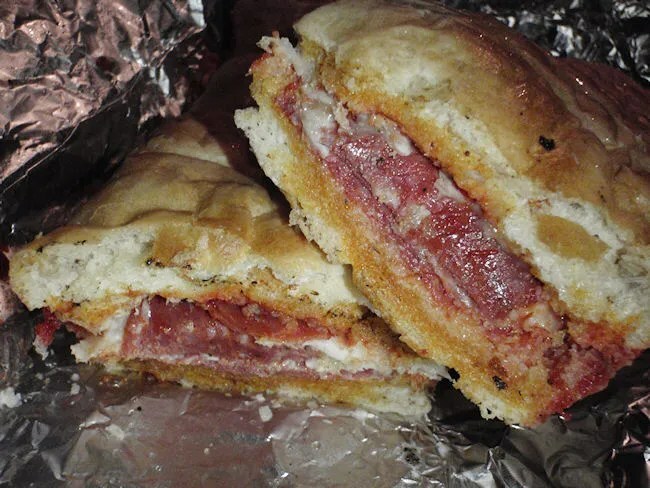 As I’ve written about extensively, I have a co-worker who craves Mancino’s grinders. Last week, I got a text from a different co-worker who was forced to eat at a Mancino’s because other co-worker noticed it as they were driving and really wanted a sandwich. Of course, I had to give her some grief because Mancino’s is “our thing.” In reality, it made me want a Mancino’s…and I haven’t craved one in a while. Last Friday, my day started in Kalamazoo before I had to drive to Grand Rapids (and beyond) to finish my shift. On my way north, I decided I wanted that Mancino’s sandwich. The Plainwell location of Mancino’s is in the Cross Oaks Mall shopping center right next to the M-89 Cinema. I pass it all the time when I stop at the Walmart next door on my way home from work. The store has a pretty large dining room and even a little courtyard area for eating outside in the summer. The entrance is sort of back through that courtyard area and it brings you in right at the cash register. Since I had already called my order in, all I needed to do was pick it up. I gave the cashier my name and she turned around to a little rack between the cashier area and the kitchen where my sandwich was wrapped in foil and ready to go. I ordered a 16″ pizza grinder which came out to just a little over $11. I hadn’t planned to eat my sandwich until I got to work since every time I’ve tried in the past to eat in the car, I’ve made a huge mess. Unfortunately, I got diverted again and it ended up being quite a while before I could actually dig in. As I’ve said many times in the past, I really enjoy a Mancino’s grinder. The thing that really makes them different in my mind is the bread. Again, not sure what it is about the bread, but it’s always just a bit crunchy around the edges and soft and chewy in the middle. This sandwich was exactly that and for as hungry as I was, the huge 16″ sandwich was just about as much as I could eat. 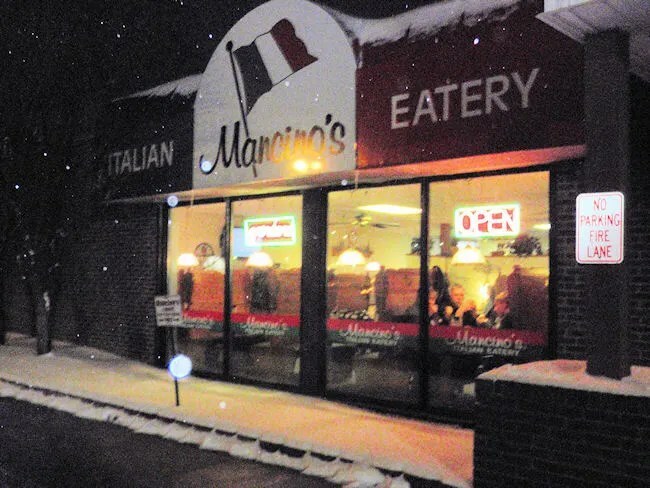 The Mancino’s in Plainwell isn’t much different from any of the other stores that carry the Mancino’s name. My visit was really quick since I had called my order in ahead of time. The sandwich was delicious, as always, and hit the spot on a cold Friday night.